These Things are Facts is the record. You will hear songs from that as well as some new ones. Female fronted punkish goodness. Somewhere between Husker Du style SST, Dinosaur Jr. and many more awesomes. 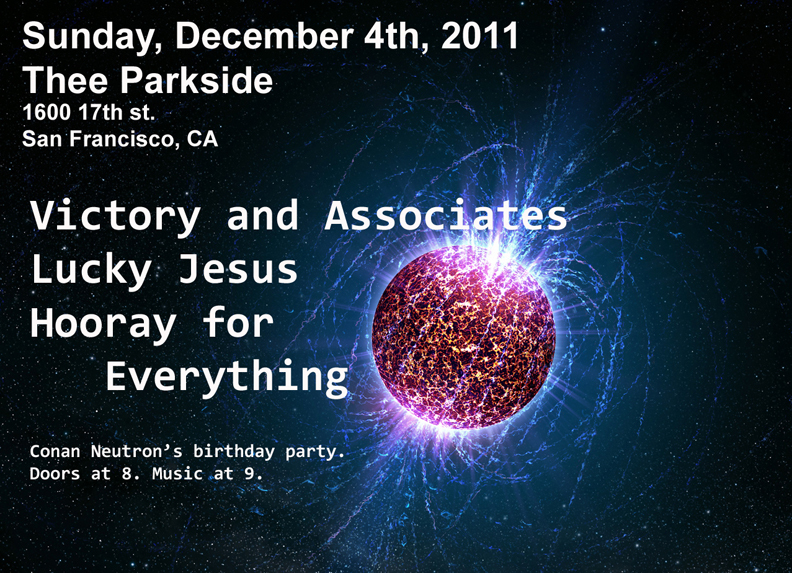 Neutron lived through another year. Let’s celebrate by poking him with sharp sticks… I mean… going to a fun rock show! There will be fun surprises and things too… awesome.